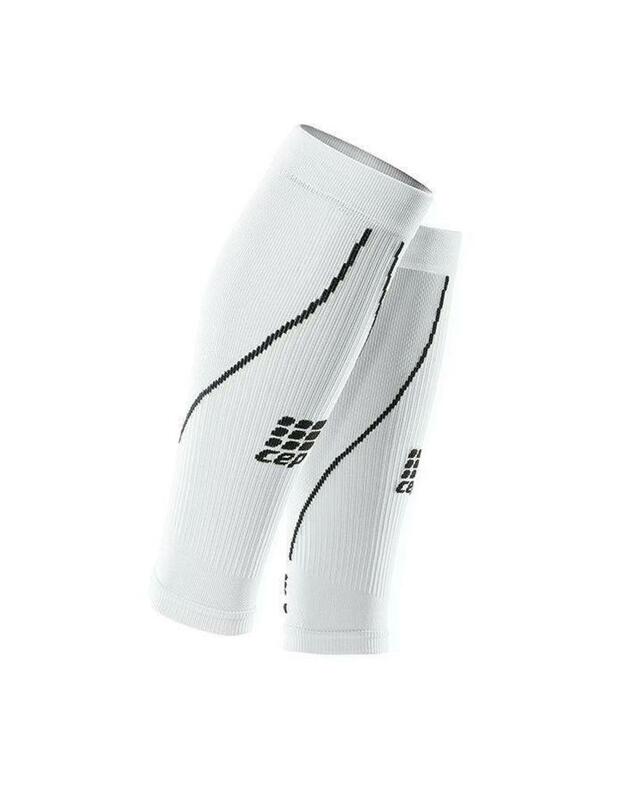 The CEP Compression Calf Sleeves 2.0 feature the same progressive compression found in our full 2.0 Run Socks. Our proprietary compression profile is clinically proven to improve performance, prevent injury, and reduce micro-trauma to the muscles in your lower leg. By increasing circulation the muscles are fueled with more oxygen and nutrients, giving you more power and control during active use, and helps to prevent overuse injuries. CEP's high-tech compression fibers wrap around the leg over 300 times. This gives your calf muscle maximum support and stability, and prevents micro tears in the connective tissues that cause shin splints. Don't worry, we've got you covered. Built in air-conditioning allows air to flow through the ribbed pattern on the front of the shin. Air will hit any moisture that has been pulled from the surface of your skin. This creates a cooling effect that can reduce skin temperature up-to 6 degrees Fahrenheit.